Door Steps is a new Caritas initiative aiming to address homelessness and housing, providing advice and support to vulnerable people. Funding from the Big Lottery has made this new project possible, working alongside our existing Community Services at Cornerstone, the Lalley Centre and Red Door in Bury until December 2020. The Door Steps team will be providing advice and support to clients who are homeless, in temporary accommodation or struggling to maintain their tenancies. We will be working with vulnerable clients, preparing them to take on the responsibility of a new tenancy, supporting vulnerable clients to navigate the housing applications process and supporting clients facing problems with their tenancy or accommodation. 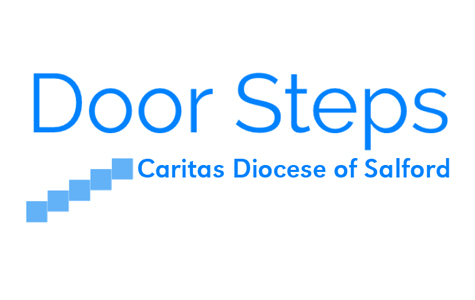 The Door Steps team will be managing Caritas’ existing shared housing accommodation. Alongside staff in our existing Community Services we will be building and supporting partnerships-working with other organisations, further developing relationships with housing associations, private landlords and other housing providers to promote access to housing for vulnerable clients. We will develop a Caritas housing strategy to support longer-term projects and help appraise opportunities for housing/service development.